Today we decided to check out the Mile High Flea Market. When I go to flea markets I always hope to find fun little treasures amidst old junk. There was not much of this at this flea market. It was pretty much just – well – new junk. There were a few sections where people had brought in some old/used stuff, but I didn’t find anything. That was ok though. It was beautiful out, and we enjoyed walking around. Plus there was fresh kettle corn. That alone may have made the trip worth it. And even better? 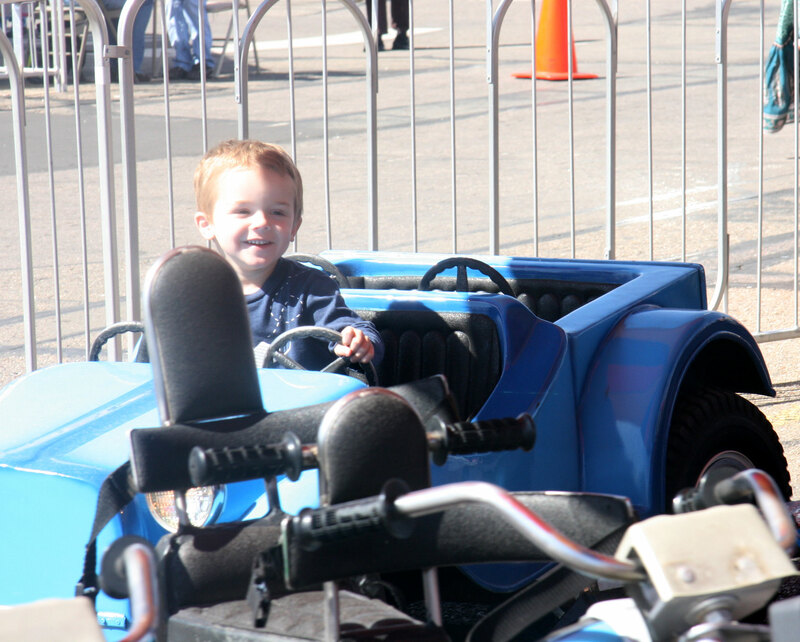 A couple of carnival rides that were just Davey’s size. 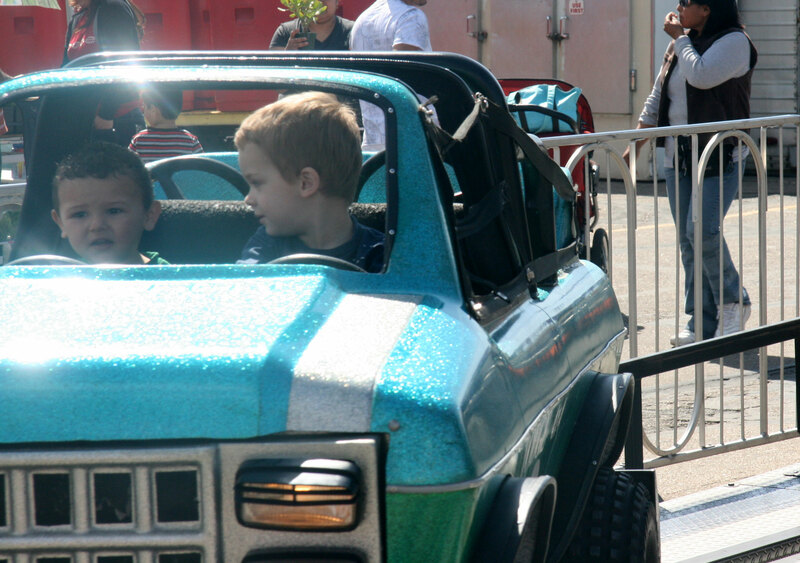 The first time he rode the second ride, he “chauffeured” a little bitty boy. Davey checked on him pretty frequently to make sure all was well. I like his expression here. Lunch at El Jardin. Very good Mexican Restaurant. Now home. I went to the library to replenish Davey’s books. Davey and David are “rassling” at the moment. The farm market part of it is still good though. The Bread Lady has some mighty good stuff. 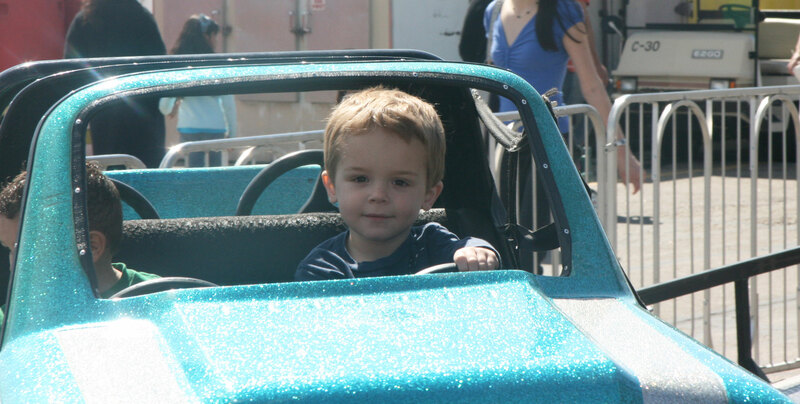 He looks so serious and grown up behind the wheel! What a sweet little guy he is to take care of an even littler guy. Oh, I so love the potential of a good flea market in a big town!